Papers: 1981-1990, 5.7 linear feet. 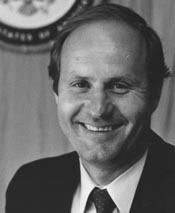 The papers mainly consist of correspondence, memoranda, reports, and public relations files from Jim Batess service in the U.S. House of Representatives. The papers also include documentation from when Jim Bates was chairman of the San Diego Board of Supervisors. Video and audio tapes: 1980-1990; 4 videoreels, 2 videocassettes, and 1 sound tape reel. Includes eight commercials used during the campaigns of Jim Bates for the 1980, 1982, 1986, and 1990 congressional elections in California, Democratic party.